1. 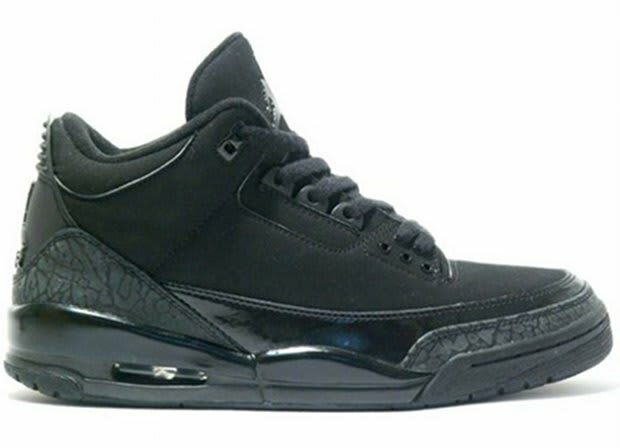 Air Jordan III "Black Cat"
Chris says: "Favorite of all time, all black Jordan III's, what more could you ask for? When these first released, I couldn't afford them. Missed out on them and was pretty bummed. Once I had some money saved, I went to Flight Club in L.A. and bought two pairs. Looking to get a third soon. Murdered out."